There has been a big shift in Human Resources in recent years – all driven by Big Data and People Analytics. This trend has been happening since 2011 according to Josh Bersin. As he put it last year, “The Geeks have arrived” in HR. Historically, HR departments have had lots of data, but it has been unstructured and underused in helping the organisation as a whole. Technological advances have changed all of that. People Analytics is the utilisation of your existing data to unlock the power of your workforce. It provides insight through analysing all your employee data and turning the results into something tangible and, if done well, actionable. People Analytics has brought a new discipline into HR departments, allowing HR Directors to make informed decisions based on fact and not just theory. Every large corporation can hugely benefit through People Analytics. A lot of what People Analytics is striving for is marginal gains – as so widely popularised by Sir Dave Brailsford. Gaining a 1% improvement here, another 1% improvement there. It all adds up in the end! Sentiment analysis is now being used to understand the emotion behind words, so that we can fully understand attitudes and opinions of our employees. Combining this with People Analytics gives us powerful monitoring capabilities that provide even more insight into your workforce. Large datasets will therefore be able to analysed in ways that were never before available. A rich, deep insight will be the outcome and it’s going to be huge in 2017. We’ll write a lot more on this subject over the coming months. How Does This Work with Employee Engagement? Employee Engagement has also seen huge shifts in the last decade. Collaboration tools, improved surveys, employee recognition schemes, employee experience and more. We recently wrote a post on all the different type of collaboration tools which highlights some of the best and why they are good for engaging your employees. We also gave you some simple steps to improve your employee engagement through your intranet. It should go without saying that these collaboration tools should not only create a better environment to work in for your employees, but also increase their knowledge and productivity. If you can analyse the usage of these collaboration platforms and understand what your employees want and need, then they are going to be more engaged. It’s that simple. But the difficult part if getting to the bottom of those analytics. Adding to this, your recognition and experience schemes will need to be analysed, then optimised to ensure that the employee life cycle can improve at every stage. Back to that marginal gains theory. As we’ve already alluded to, employee engagement has seen huge shifts and has multiple facets to it. Therefore, People Analytics and Sentiment Analysis can play a huge part in optimising your employee engagement, as it will help to pull all your data from each facet and transform it into something more tangible. What is Employee Engagement Going to Look Like in 2017? Increasingly, we are seeing more and more sophisticated People Analytics tools coming to market. The big players are getting involved as they see this as a huge area for growth – Google, IBM, Microsoft, etc. Another area that is in growth right now is the Predictive Analytics market: so after collecting and analysing your people data, those results and analysed by artificial intelligence and its gives you actionable outcomes. This has come a long way since being handed an employee survey to tick boxes! This is, of course, a journey for every organisation. It can’t happen immediately. HR departments have the data there, but it firstly needs to be found and unlocked, then analysed, and the analytics needs to provide results and outcomes. How this affects employee engagement in 2017 would appear to be a difficult question to answer, but we can only see massive improvements all round. Never have we had the ability to fully understand – at this granular level – what our employees are doing, which reward schemes work the best and how your employees are collaborating. There is a real opportunity to use People Analytics to understand where you can gain that extra 1% from your employees. We all look to Google (or do we?) as a beacon for happy, engaged workers. In this article, it states that “Nearly every decision the company takes is data driven” which is to be expected from Google. But the difference with Google is that they are trying to understand the culture and relationship values in the workplace as well as the traditional data-led employee engagement surveys. They use People Analytics and Sentiment Analysis to combine quantitative and qualitative data: the human and the productivity data. We can see from the Google case studies that there is a definite feedback loop in this process, that feeds the improvements in employee engagement. Gaining better insight of your HR data, will in turn, lead to better communications with your employees. This will lead to not only higher employee engagement scores, but also lower attrition rates, better trained staff, better hiring processes and higher collaboration levels. Every time you have something actionable to introduce it can help you improve your employee engagement just that little bit more. 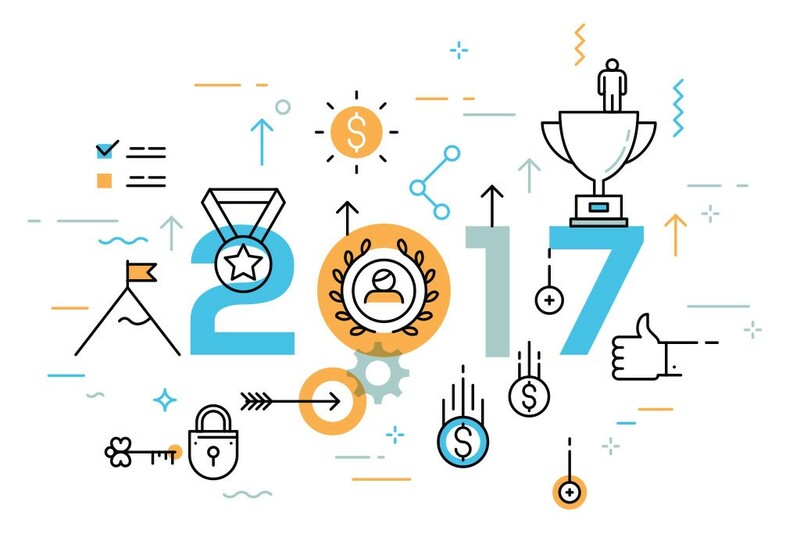 It certainly looks like employee engagement is going to become even more sophisticated in 2017, with the adoption of both People Analytics and Sentiment Analysis gaining mainstream momentum. With the right strategy, implemented correctly, every organisation can find incremental improvements in their employee’s experiences. Organisations need to find the right solutions from third-party tech companies and implement them or risk being left behind and without a happy and productive workforce. Companies Are Investing In All Sorts Of Tools To Boost Employee Engagement. If You Want To Learn More About How We’ve Helped Clients Such As BT, TEVA And Alcatel-Lucent Boost Their Employee Engagement, Have A Look At Our Case Studies.